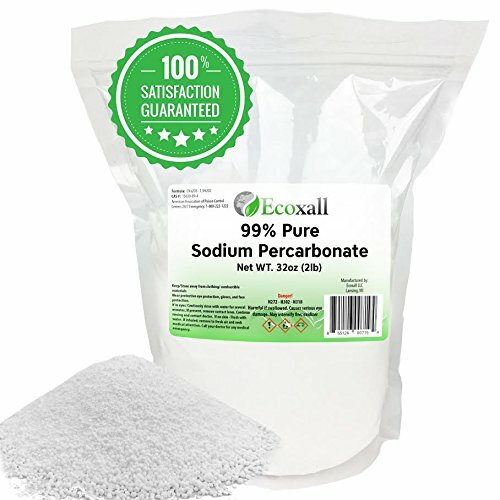 Environmentally Friendly - Dissolves into Water, Oxygen and Sodium Carbonate also known as Soda Ash Laundry Booster- Used in laundry to remove stains, whiten clothes and deodorize. Stain Remover : Coffee, Wine, Blood, and more! Many Uses - Can be used in : Laundry, Carpet Cleaing, Grout Cleaning, Wooden Decks, Wood Furniture and Upholstery. 99% PURE- A strong natural cleaner removes the toughest stains! MANY USES: Can be used in Laundry, Carpet and Grout Cleaning, Wooden Deck Cleaning and More! 30 DAY MONEY BACK: We stand by our products! If you're not happy return your products for a full refund. If you have any questions about this product by Ecoxall, contact us by completing and submitting the form below. If you are looking for a specif part number, please include it with your message.